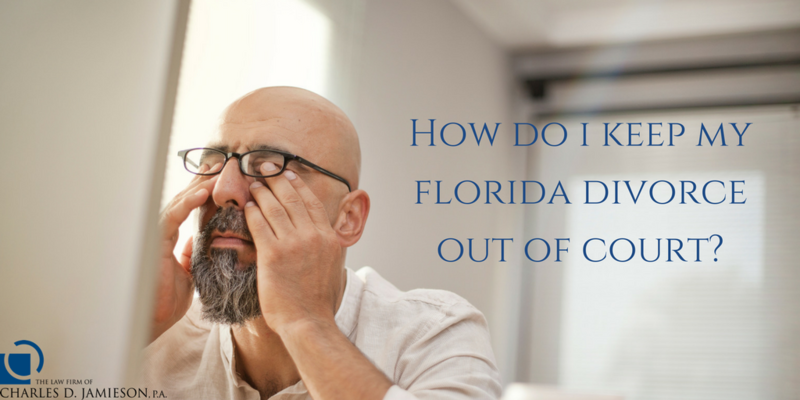 How Do I Keep My Florida Divorce Out of Court? Do you want to protect what is rightfully yours without having to step one foot into a courtroom? Learn what options (other than a traditional based Florida divorce) exist if you are going through a dissolution of marriage in Florida. Mediation uses a neutral third party, who is agreed upon by the parties or who is court appointed. The divorcing parties and their attorneys meet with a mediator, who is prohibited from giving advice to either party, to help them work through issues including distribution of property, alimony, child timesharing (custody/visitation), and child support. The process allows a couple to maintain control over the decisions that will impact them and their children, with a goal of ending their marriage as amicably and cost effectively as possible. 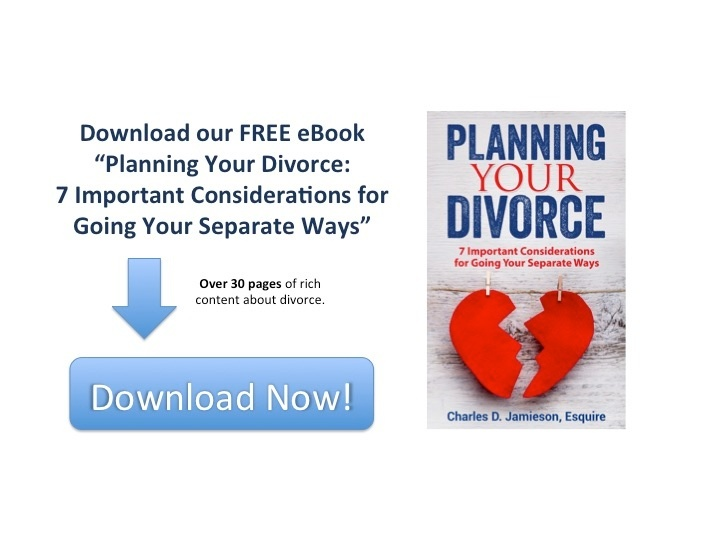 Download our FREE eBook: "Planning Your Divorce"
Couples opting for collaborative divorce agree to settle matters involving division of assets and debts, alimony, child support and timesharing (custody/visitation), as well as other matters, through interest-based negotiation, and compromise, instead of through litigation. In contrast to mediation, which uses one professional (acting as a neutral party), collaborative divorce uses a neutral financial professional and a collaborative facilitator, (usually a mental health professional); these two professionals, together with the parties’ attorneys, assist the divorcing spouses to create options which meet the needs of the parties and needs of their children. This process is more cost-effective and efficient and less time consuming than a protracted, acrimonious litigation-based divorce. What are the advantages of avoiding litigating your divorce out of court? Less cost -resulting in a greater pool of assets to divide. Greater expediency -taking weeks or months rather than years to resolve which means you can move forward with your life more quickly. Greater discretion -no court means no public court transcripts or public court hearings so you can protect your information and your privacy. Greater control over your divorce -you work with your spouse rather than allowing a judge to decide. Easier on the children involved -sparing them the drama and acrimony of a courtroom battle can ease the disruption the divorce has on their life. For whom do these options work best? Mediation and collaborative divorce are not right for everyone. Some couples may never be willing to work through issues in a civil way, by expressing their needs and concerns and listening to their spouse’s opinions and requests. Nevertheless, mediation and/or collaborative divorce are viable options for most divorcing couples. The key to a successful mediation or collaborative divorce is hiring a Board Certified Marital and Family Law attorney for representation. Lawyers who have experience in these alternative divorce areas who are educated, trained and experienced in both, and who has a specialty in Family Law can help the process go smoothly and effectively. Board Certified Marital and Family Law Attorney Charles D. Jamieson understands that divorce is an extremely sensitive and important issue. Thanks to extensive education, training, and experience in mediation and collaborative divorce and a focus on open communication, Attorney Jamieson adeptly addresses the complex issues surrounding divorce while delivering excellent personal service. To discuss financial issues related to divorce, or to determine if collaborative divorce is appropriate for your case, please contact The Law Firm of Charles D. Jamieson, P.A. online or call 561-478-0312 to schedule a consultation.